Buying a foreclosure (FCL) is often touted as a way for both owner-occupants and investors to get a great deal on a property. However, the potential financial rewards of buying a foreclosure don’t come without their share of hard work and headaches. Read on to learn about the problems these properties commonly possess and the difficulties you may encounter in purchasing one. The most important thing to understand before jumping into the foreclosure market is that these properties were given up by owners who couldn’t afford the payments anymore. In these cases, the house is often poorly maintained – after all, if the owner can’t make the payments, he or she is likely falling behind on paying for regular upkeep as well. In addition, some people who are forced into foreclosure are embittered by their situations and take out their frustrations on their home before the bank repossesses. This often involves removing appliances and fixtures, and sometimes even outright vandalism. After the occupants leave, foreclosures sit abandoned, often inviting criminal activity. Bank-owned properties are sometimes disgustingly dirty because of time spent sitting empty, intentional neglect by the previous owners or occupancy by vagrants. When the place is locked up with no air circulating for months, built-up dirt can cause the entire home to smell. The previous owners may have made changes to the home without getting the proper permits or hiring good labor in order to save money. A common example is converting the garage into living space so more people can live in the home and help pay the mortgage. These changes may be undesirable to future owners or create headaches for the new owners with city government officials due to the lack of proper permits. If the previous owners started to improve the home but then fell on hard times, there may be partially finished work in the house. The bathrooms may be redone while the kitchen has not been updated in 40 years, or there may be new floors in the living room while the bedrooms still sport ancient carpeting. Also, if any repairs were made, they may have been done by the owners themselves or by unlicensed professionals – in other words, people who may not necessarily have done the work correctly. With no one living in the home, the electricity may be off unless the bank has intentionally kept it on. With no electricity, it can be hard to see what you are buying in some rooms, particularly basements and windowless bathrooms. A small leak under the kitchen sink can lead to a mold problem, and a roof leak or burst pipe can lead to major water damage. With no one around to take care of small problems as they occur, small problems can turn into big ones, and big problems can turn into disasters. If the previous owners couldn’t afford their mortgage payments, you can bet that they also could not afford to repair leaks, termite damage, a broken garbage disposal or anything else. Depending on the climate where the home is located, the lawn and landscaping may be totally dead or extremely overgrown. Banks usually do not pay for gardeners to maintain the yard. Sometimes foreclosed homeowners get locked out of the property before they can move their belongings, and in some cases they do not take everything with them. Many real estate owned (REO) properties contain furniture, trash, clothes and other items that you will be responsible for disposing of when you become the property’s owner. Damage is not uncommon in foreclosure properties and it may be caused by vandals or the former owners. Sometimes when a property sits vacant, especially if it is in a moderate-to-high crime area, new owners will have to contend with graffiti, broken windows and other damage. Broken windows can be common in REOs for several reasons. As mentioned previously, vandalism could be a cause. Also, when banks lock out owners while taking possession of the property, the former owners may break a window to get back in and retrieve their belongings. Previous owners may also purposely inflict damage at the bank’s expense by putting holes in walls and/or tearing off the baseboards and crown molding. To get revenge against the bank and to make an extra buck, the previous homeowners might remove items that had value, including appliances, fixtures, the kitchen sink, bedroom doors, closet doors, copper pipes and more. Anything the homeowners do not take might be taken by thieves. Either way, many bank-owned properties are missing things that generally come with seller-owned properties. 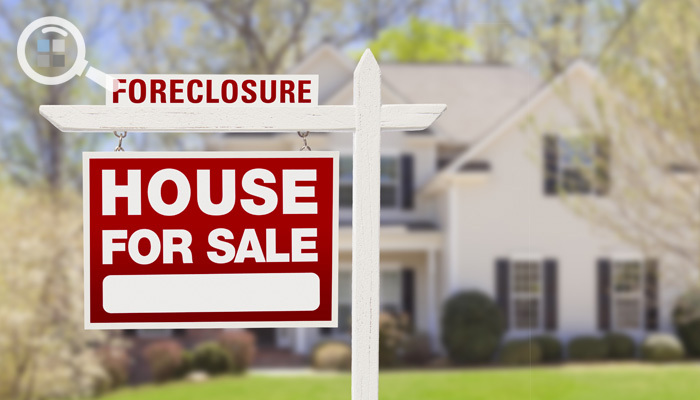 Despite all these potential problems, foreclosures can still be a good deal. If you are willing to fix problems that most people do not want to deal with, you can buy a home at a significant discount. However, you may encounter additional issues when it comes to actually purchasing the property and getting it in move-in condition. Buying a home from a lender has its issues as a result of the increased level of bureaucracy and the limited transparency afforded to those who buy foreclosures. Lenders will not give you money for a home they consider uninhabitable or that appraises below the purchase price. If you are an investor paying cash, of course, this will not be a problem. Common sense says that banks should want to unload REOs as quickly as possible, but in reality banks sometimes drag their heels in considering offers and throughout the escrow process. Since no one from the bank has ever lived in the house, they are unlikely to have any knowledge of existing problems with the property. You will have to uncover everything yourself, either during the home inspection, by asking neighbors or through experience after you become the homeowner. Because foreclosures can be great deals, they are attractive to investors looking to flip properties or use them as rentals. Since investors can make all-cash offers with fewer or no contingencies and fast closings, their offers may be more attractive to the bank than those from would-be owner-occupants.